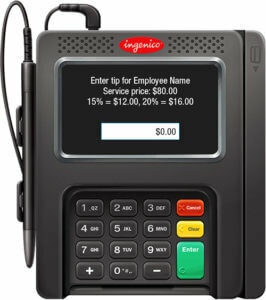 Looking for an integrated, straightforward, PCI compliant payment processing solution without all of the guesswork? Thanks to a partnership between CardConnect and Rosy, we’ve got a simple flat-rate model at 2.65% for your business. CardConnect will meet or beat your existing processing rates! You will get all of the same integration benefits at a custom rate, with hassle-free setup. Leveraging our partnership with CardConnect, we’ve enhanced our credit card processing offerings with BOLT – a device for integrated and secure payment acceptance with your SalonRunner account. New To CardConnect? Click Here To Get Started. Click here to begin the process today!